The startups are increasing at a fast pace and there is a huge competition between the startups. This is the prime time when are bound to focus on the core business operations of the organization. The initial stages of the startup are not a cakewalk. There are a plethora of things that the founder should take care of and with the time constraint, they won’t be able to do everything. As they are the initial stages of the startup, the limitations on funds, staff, and stress of the business expansion go over the head of the founder. This is the reason most of the startups outsource their work to the freelancers or other organizations. Hiring an in-house employee to carry out the work will be costly as you have to spend amount and resources on the employee and the additional benefits will be another headache. So do not confuse between the in-house or outsource because if you are on a budget with tight situations, then it is better to outsource and get the work done. As a startup owner, you may have tremendous knowledge and skills which can help you in managing multiple tasks of your organization at once. But as there are multiple tasks that need your attention, you may commit a mistake or get stressed out a lot. This isn’t something that you need right, and budget is another issue if you plan to hire an in-house employee. This is the reason why you have to think of outsourcing. There are so many talented outsourcing employees who will be happy to share your workload. The payment for these employees will be less because you will be paying them for the work that they did and nothing extra and as they aren’t liable for any benefits, you will be saving some amount there too. You should be able to recognize the tasks that you can outsource and do it. Because there are some things that need your attention, so do not divert yourself from such tasks. A startup isn’t a one-man show and it is a misconception. You have to outsource some of the trivial tasks so that you can take care of the important ones. That is how the business works. The outsourcing will reduce a lot of workloads and you will be able to concentrate on certain tasks only. If you are new to the business market then you must have to search for the best outsourcing company for your mobile app development or enterprise app development related requirement. In this digital era, Every business wants to promote their services online and that’s why the requirement for the app development increases day per day. Here are some of the benefits of outsourcing the tasks. In the startup world, each and every minute is valuable. Most of the startups outsource some of the most time-consuming tasks like distribution, payroll processing, accounting and a range of other imperative tasks and the main reason for this is to save time. It is important for a startup to spend more time on generating ideas that will help in developing the startup rather than wasting it on the simple yet time-consuming tasks. The tasks that are of low value for the business and are highly repetitive have to be outsourced. Most of the new business owners don’t understand the benefits of outsourcing. As your business starts to grow and improve, the customer value will increase, and this will outpace your in-house staff abilities. You have to take the necessary actions to avoid labor shortfalls. Outsourcing some of the smaller and less important tasks to the freelancers or some other companies will save a lot of efforts and your in-house staff will be able to focus on the creative processes. 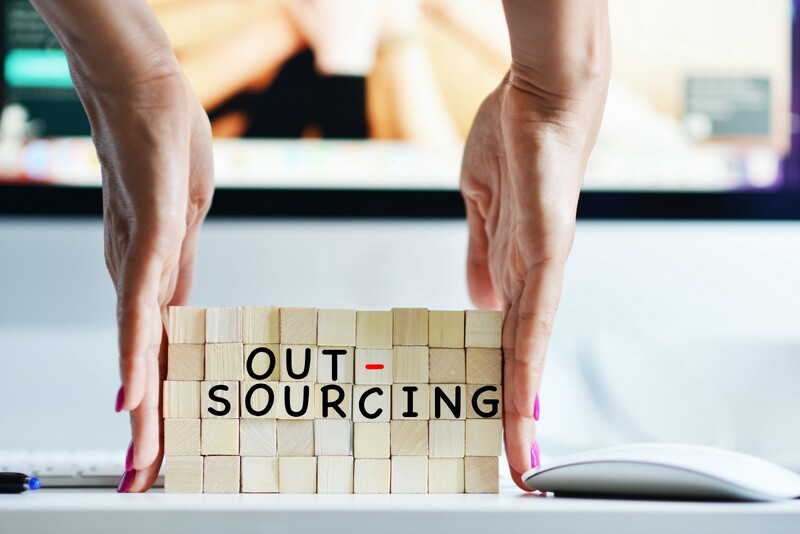 You have to put in a little care while selecting a vendor for outsourcing development so that you will get the best output even when you outsource the things. It is common that the CEOs want to have great control over the business operations as possible, but it isn’t possible, and you cannot take care of everything in the starting stage of the business. If you are unable to hire in-house staff, then you should at least hire someone from the third-party companies to take care of the work. As the organization starts to grow, you will be able to reap more benefits from the freelancers and the third-party companies. When the cost of the products that you develop is high, you may lose some customers out. In such scenarios, an external provider cost structure and economy of scale will provide your firm with an enhanced competitive advantage. It is a common issue with startups. Most of the startups are on tight budget and it will become tough for them to hire in-house employees for all the tasks. For suppose let’s consider a startup has agreed on an application development project. In order to carry out the task, the organization should hire an employee and the hiring process is tiresome and time-consuming. After hiring the employee, they have to provide him or her with all the needed resources for application development and pay them on the monthly salary basis. They are also liable for the benefits that are provided by companies on a frequent basis. Instead, if you consider outsourcing application development for a freelancer or third-party company, you will be saving a good amount of money and efforts. Most of the companies outsource product development as a startup. As a startup, there are certain things about your company that needs your immediate attention. When you outsource your work to some other person, you will be able to concentrate on the other works that must be taken care of by your organization. The potential freelancers and outsourcing companies will charge on an hourly basis or per project basis. Either way, the cost will be less when compared with an in-house employee. A freelancer developer would charge around $20-$50 per hour and as a start-up, you can work with more than one outsourcing firms or freelancers to execute multiple projects in swift time. John has started a startup and got a handful of projects with his excellent marketing skills. One project requires a traffic monitoring system and he outsourced a machine learning development company to get the desired result. The company charged an affordable amount for the project and completed it in time. He is happy with the end product and hired them to provide three more applications. John acquired an excellent relationship with that company and he started outsourcing the projects to them regularly. John scaled his company by outsourcing certain projects and also saved a good amount of money. So, we can conclude that outsourcing is like a great boon for different categories of startups and small-sized companies. You can sign a project even if it doesn’t come under your niche and then you can outsource it to the professionals or firms who have specific expertise in it. This way you will be able to operate on multiple domains without any hassle. This story is published in The Startup, Medium’s largest entrepreneurship publication followed by +434,678 people.